In many instances, diabetes is an inherited disorder. People who have first degree relatives with this disease are more prone to developing this disease than people with no genetic disposition. People who have a first degree relative with diabetes can avoid contacting the illness by having themselves tested by their physician. The physician can do a series of blood tests that will determine whether or not the patient is pre disposed to this condition. If a person has a pre diabetic condition, there are many things they can do to avoid getting this disease. However, Type II Diabetes has become nearly an epidemic in this country. Many in the medical community believe that one of the reasons many people acquire this potentially life threatening condition is from obesity. The diabetes epidemic has mirrored the obesity epidemic currently overtaking the United States as well as other countries. People consume foods that are high in carbohydrates and sugars and low in nutrients at an alarming rate. We often think of diabetics as being people with a sweet tooth who crave sugar. This is not the case. More often, a person who is obese has more of a chance of getting diabetes than a person who maintains his or her weight. One way how to prevent diabetes is by managing your weight. Although there is little you can do about having a genetic disposition to the disease, there are ways you can prevent becoming one of the millions of Americans who develop diabetes each year. When seeking how to prevent diabetes, the first thing a person can do is watch your weight. Studies indicate that people who are overweight are more prone to developing diabetes. How to prevent diabetes. Rule number one is manage your weight. One way to manage your weight is to stay way from foods laden with saturated fats, and sugars. Stay away from fast food, which is usually high in fats, carbohydrates and sugars. Most fast food offer little in the way of nutrition but are high in fat and carbohydrates. Another way how to prevent diabetes is to exercise. Exercising regularly improves blood sugar control. Because active muscles dispel glucose from blood quicker than non-exercised muscles, regular exercise can do wonders in staving off or preventing diabetes. In addition, regular exercise also helps to maintain stable weight, another factor in preventing obesity. Again, the misconception that people contract diabetes through excessive consumption of sugars is inaccurate. It is not only sugar that contributes to the disease. While it is good to eliminate the use of excessive sugar in your diet, carbohydrates are also contributory to the onset of diabetes. 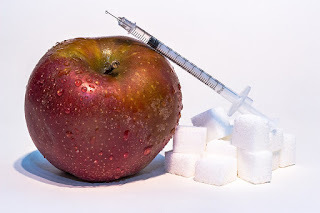 One way on how to prevent diabetes is becoming aware of the Glycemic Index. The Glycemic Index was developed in 1981 and rates which carbohydrates are more difficult to eliminate glucose from the blood. When asking yourself how to prevent diabetes, focus your attention on your weight, exercise and diet. In many cases, simple lifestyle changes can prevent someone from getting this potentially life threatening disease.